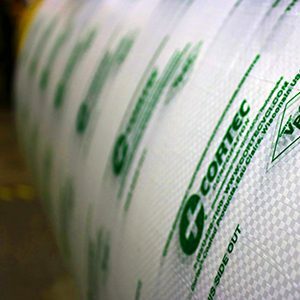 EcoWeave® is a woven polypropylene sheeting enhanced with Vapor phase Corrosion Inhibitors. EcoWeave® offers extra strength, durability, corrosion protection, reusability, and recyclability. 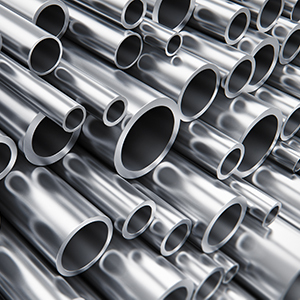 It is a unique solution for tough corrosion packaging problems. Many packaging applications require a tear resistant shroud to accommodate the sharp edges of equipment or steel coils during shipment. The woven structure of EcoWeave® will help prevent damage to the shroud, thus preserving the integrity of the VpCI® protection and preventing corrosion from occurring. From raw materials to finished products, EcoWeave® will provide the protection you need for expensive but heavy metal components.